Japanese superstar Kimura Takuya was the ambassador for Levi's Engineered Jeans 20 years ago when it was first launched. Fast forward 20 years, Levi's invited him back to star in their 20th-anniversary commercial, along with Leah Dou, the daughter of his friend, Faye Wong. 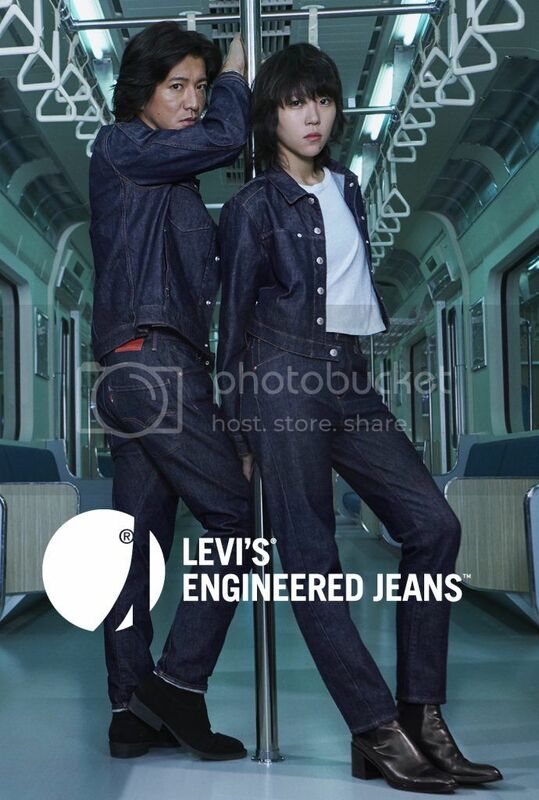 The video clip started with the duo facing each other in the train, followed by a dance battle in a bid to showcase the stretchability of the engineered jeans. Kimura Takuya has still got the moves of a pop star and the two exhibited excellent chemistry. When asked what he felt about the relationship between Leah Dou and himself in the commercial, Kimura Takuya burst into laughter and replied, "I know her mother (Faye Wong), so I don't know what kind of relationship, it's just quite unimaginable!" Watch the video below to see the charms of Kimura Takuya and Leah Dou. Take a look at the series of Levi's Engineered Jeans commercial done by Kimura Takuya 20 years ago.